Group 3 members: Elena Khasaynova, Lex te Loo, Nishita Parmar, Bartosz Ukarma-Malaga, Pierre Mostert, Michele Semeghini, Małgorzata Wawrzyniak. 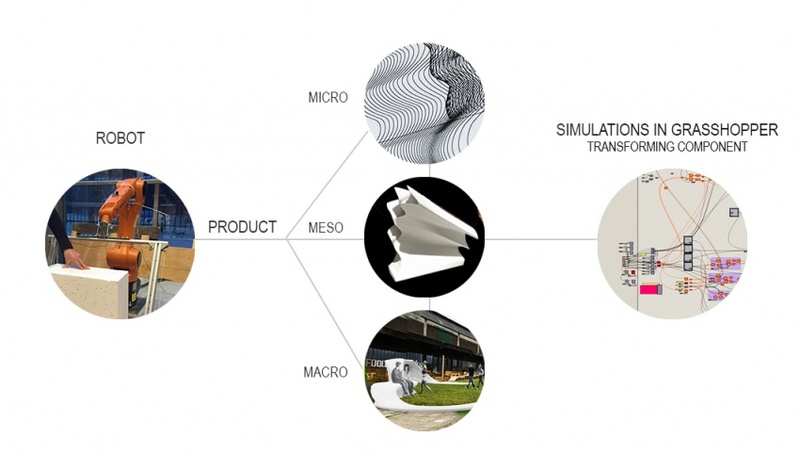 'Componentialityexplores a set of systems that enables design and robotic fabrication of multiaxial surfaces. the project therefore explores various techniques to make efficient designs that could be robotized. This page was last modified on 15 June 2015, at 18:12. This page has been accessed 5,907 times.